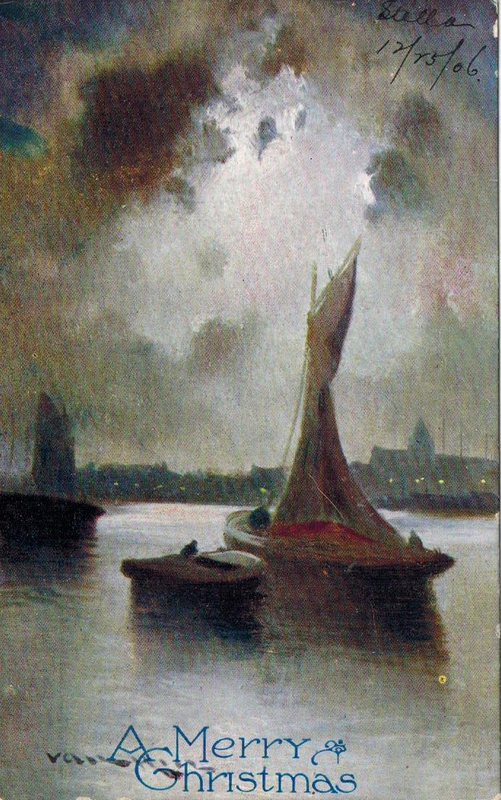 This painting of boats in a harbor (and a dark painting at that) seems rather an odd choice for a Christmas image. The Christmas greeting partly obscures the artist's signature, so I've no idea who the artist is. Note how the postcard is stamped at 1 AM on December 25! Perhaps Stella dropped it off at the post office on her way to midnight Christmas services. The post office had to have someone there working - how else could it be stamped with that time and date? I wonder when it was delivered. Do you think it was delivered on Christmas Day? I don't know if workers got regular holidays in 1906 like they do now. It is also possible that the meter was set for the first hour of Christmas and was simply stamped earlier. Also note her use of the word "City" instead of writing out St Louis, MO. 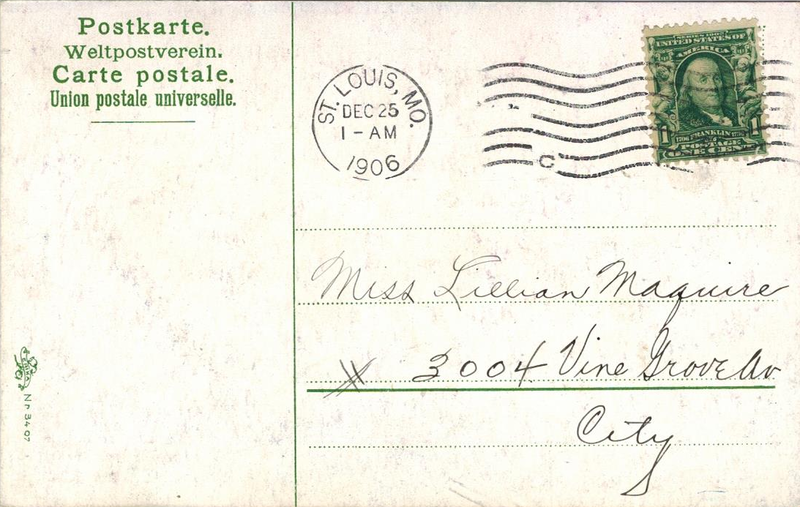 This was a common way to indicate the address remained within the city limits where the postcard (or letter) was posted. This remained a common thing to do even into the 1960s and 1970s. I can remember my mother sending and receiving mail with "City" instead of "Seattle" after the street address. Vintage Ads - 1930s Beauty Secret of Chewing Gum!